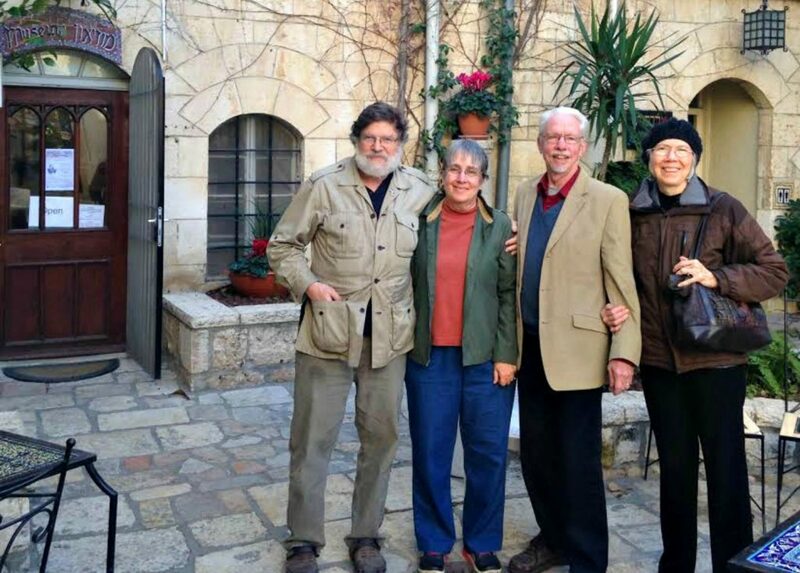 I am just back from a special relationship building trip to Israel from Jan 31 through February 11. There were just four of us on this visit, Carla and Doug, and Laura and I. The entire trip was amazing. The Holy Spirit opened doors and put in place our (PRMI and DFI’s) engagement in His great waves of the Holy Spirit that are converging back on Jerusalem. Every day we were surprised as doors opened to us and we experienced unexpected encounters with Jesus and His people. These exciting developments are not yet mature enough to be made public. The connections are just beginning and will need to be nurtured through prayer and walking them out in obedience. So, please pray that the seeds sown will be protected and bear extraordinary fruit for the Kingdom of God. Thank you for your prayers and please keep praying for us and this work. Right now–February 16, 2017, as I am writing this Discerning the Times–President Trump is meeting with Israeli Prime Minister Benjamin Netanyahu. While this meeting will be over by the time you read this, the issues discussed still concern us as we pray for the unfolding of this relationship. 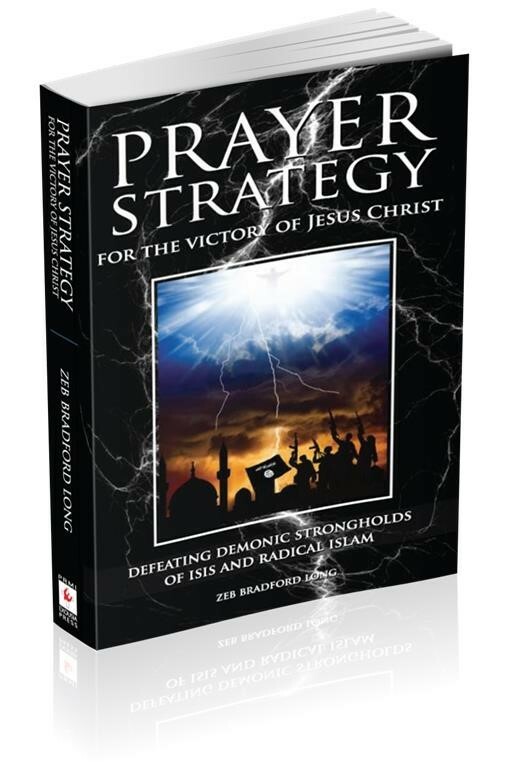 Our call as intercessors is to pray that the Holy Spirit will expose and then break the structure of deception that Satan has put into place in order to advance his four terrible schemes through Islam. I know that I keep harping on about these schemes. 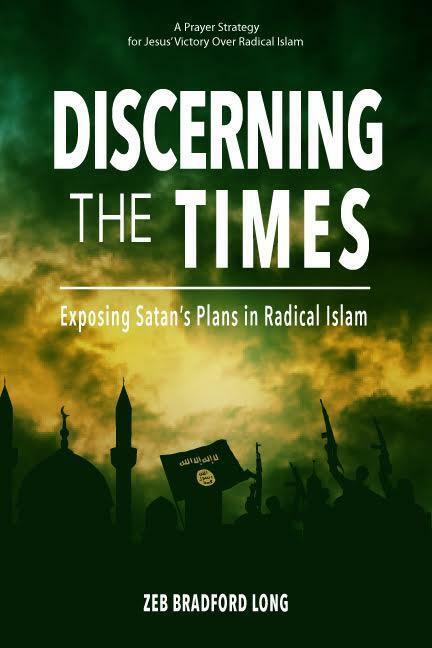 I do so because exposing the deep spiritual motives and long term objectives of Satan provides a lens that helps make sense of bewilderingly complex issues like the Palestinian- Israeli conflict. Replace God’s way of salvation revealed in the Old and New Testaments with the deception of Islam. Exterminate Jews and Christians in order to replace Yahweh’s Covenants of salvation for humanity. Strangle the winds of the Holy Spirit blowing in the house of Islam which is bringing Muslims to saving faith in Jesus Christ. Establish the Islamic Caliphate from which to wage offensive jihad to accomplish the genocide of Jews and Christian and impose Islamic hegemony through Sharia law. This includes destroying the State of Israel and subverting and/or destroying the “Nations of the Cross” which have the military, cultural, and spiritual power to block the vision of establishing the Caliphate. In order to implement these plans, Satan has built a structure of lies about Israel and the Jewish people as well as the Palestinians. These have aided in the implementation of specific policies and attitudes. I have attached the full article below for those who may not be able to get into the article on line. As intercessors, we may be called to pray first of all that these deceptions be overturned by speaking the truth, and secondly to pray that the truth will be spoken by the Trump Administration, by all nations with a Judeo-Christian worldview background, and by Israel. Pray that the Demonic cloaking will be pierced and the truth revealed. This is important if the policies of the United States (and all nations concerning Israel) are to be implemented in a way that leads to true peace and not to the appeasement of Satan’s agents who are working for replacement and genocide. Millions of Palestinian “refugees” have a “right of return” to Israel. Israelis and Palestinians have comparable claims to Jerusalem. There was no ancient Jewish presence in Israel. 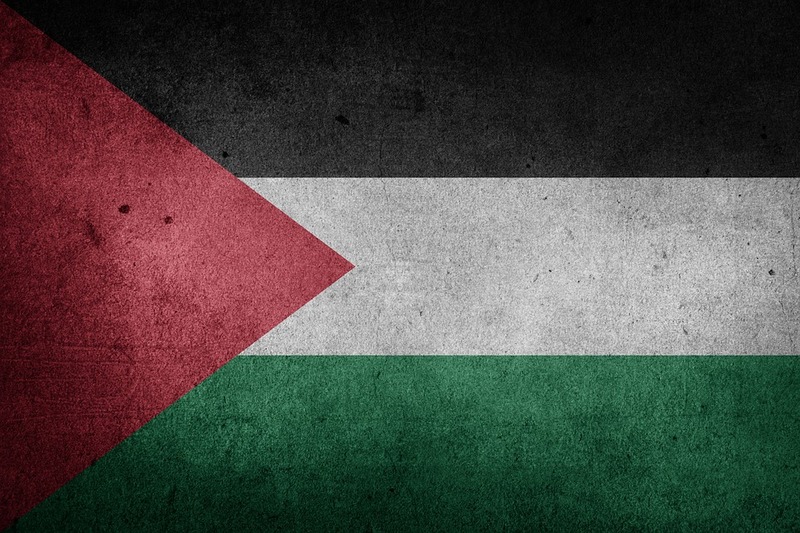 The Palestinians are ready to accept a “two-state solution” to end the conflict. Pray that these lies will be replaced with the truth. Pray that the Holy Spirit will use the Trump Administration to not only tell the truth but also put in well-considered policies that will break the effects of these lies. For the details of the lies that need to be exposed and the suggested truths that need to be spoken see the article below. If anyone receives guidance from the Holy Spirit about how to pray for this “speaking of the truth,” please pass it along, so that it can be discerned and passed on to the intercessors. Netanyahu’s Washington visit is an opportunity to debunk pernicious falsehoods about Israel. Donald Trump ran for president pledging to throw off political correctness and tell bold truths. That’s something to keep in mind this week. On Wednesday Israeli Prime Minister Benjamin Netanyahu will visit the White House. Thursday will bring Senate confirmation hearings for David Friedman, Mr. Trump’s nominee for ambassador to the Jewish state. Both events offer an opportunity for the fearless truth-telling that Mr. Trump promised. This is nonsensical: There never has been a Palestinian government that could hold any territory, meaning Israel could not have taken “Palestinian land.” Quite possibly large parts of the West Bank should become Palestinian territory, but that is a different claim. The Trump administration should always describe the West Bank as “disputed” land and speak against the phrase “Palestinian territory”—except when used in the future tense. It should also recognize that Israel came to the territory it holds not only during a defensive war but also through historical and legal claims, including the 1922 League of Nations mandate to establish a Jewish homeland. The standard international view is that Israel has prevented five million Palestinians, many living in “refugee camps,” from returning to their homes. But practically none of these people are refugees as normally defined; rather they are the descendants of refugees. The Arab world has kept them in misery for three generations to preserve their plight as a weapon against Israel. Privately, American diplomats understand that the normal description of Palestinian “refugees” is a fraud and that these descendants have no legal “right of return.” A first step to peace, then, would be to end the charade and begin to dismantle Unrwa. The Trump administration might also mention the estimated 800,000 Jewish refugees who, in the late 1940s and early ’50s, were thrown out of the Arab countries where they had been living for millennia. Most of them settled in an impoverished, newborn Israel without international assistance. This is the best example of the false “evenhandedness” that has long characterized American policy—saying, for instance, that “Jerusalem is sacred to both religions.” Although the city’s Al Aqsa mosque is significant in Islam, Jerusalem itself has essentially no religious importance. It is not mentioned in the Quran or in Muslim prayers. It was never the capital of any Islamic empire. Peace requires recognizing three things: that Jerusalem must remain the capital of Israel; that the city’s religious sites must be protected and free, as they have been only under the Jewish state; and that any provision for a Palestinian capital must not threaten the city’s peaceful unity. A bold truth-teller would also move the U.S. Embassy to Jerusalem, despite the threats of a violent response, and would allow the passports of American citizens born in the capital to record that they were born in Israel. Palestinian leaders insist that this is true, and that the historical Jewish temples were not actually located on the Temple Mount in Jerusalem. This feeds their claim that the Jews came to Israel as foreign colonialists imposed by the Europeans after the Holocaust. This falsehood can be sustained only because it is politely tolerated by the U.S. and Europe—and sometimes supported by U.N. agencies like Unesco. It works against the possibility of peace by denying the Palestinians a moral basis for negotiating with Israel. The Trump administration should contradict these absurd denials of history so often that Palestinian leaders begin to look foolish to their own people. Israel, too, should move toward a strategy of truth-telling and stop appeasing the false international consensus. It ought to make its case defiantly to the world. Israel can be ready and willing to make concessions for peace without pretending that today there are any terms on which the Palestinians are willing to agree. The Israelis should continue to help the Palestinian economy but not refrain from publicizing the ways that Palestinians sabotage the effort and undermine their own welfare. Even in a conflict as fraught as this one, there remain underlying truths—and American policy in the Middle East will benefit from telling more of them. Mr. Singer, a founder of the Hudson Institute, is a senior fellow at the Begin-Sadat Center for Strategic Studies at Bar-Ilan University in Israel. Thank you for providing the information and momentum to sustain the prayer cohorts interceding for the defeat of ISIS. This is such a critical and needful endeavor. I know the great price you pay, and the sacrifices and investment that you make to fulfill your call. I pray daily for you, your family, and associates; for your protection; for the resources you need, whatever they may be; and for success in your assignment. I look forward to learning how to be a more connected and vital part of the cohort.